After a double whammy of events back in November, Sleeper magazine’s AHEAD awards hit Singapore in mid-March, with a shortlist of 48 hotels and noteworthy hotels in China, Japan, Australia, South Korea, Bangladesh, India, Thailand, Vietnam and the Maldives, all in the running to take home something shiny. This is the first AHEAD event of four in 2018, and its second-ever Asia-focused awards ceremony. 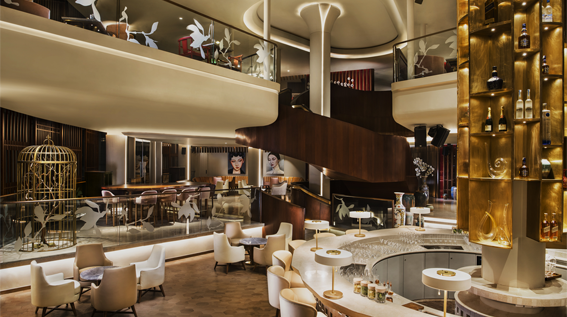 Delegations of hopefuls on the shortlist will join the great and good of the Asian hospitality scene at the recently opened Andaz Singapore on Thursday 15 March. The hotel is a futuristic honeycomb-fronted vision at the heart of DUO Singapore – the curvy, garden-roofed skyscraper complex designed by architect Ole Scheeren – and a fitting location to celebrate the cutting-edge of the Asian hotel scene. Having taken charge of the music for every event in AHEAD’s two-year history, the Music Concierge team are only too eager to be back on soundtrack duty, and we’re currently fine-tuning the evening’s playlists to set the mood and ratchet up the tension. We’ve had a blast at every one of the previous events, but we have to say that the Dubai edition last November was a particular highlight for our MEA team, as Music Concierge client Rove Hotels took home a trio of gongs, including ‘New Concept of the Year’ – an accolade we’re delighted to say we played a small part in securing (through our work on Rove’s signature sound. The 12 category winners of the Asia leg will join AHEAD’s honour roll of triumphant hotels from last year’s events in Singapore, Miami, Dubai and London, and secure their place in the 2019 global showdown – the culmination of AHEAD’s two-year programme to establish the best of the best in worldwide hospitality. We can’t wait.